Whether the culprit is poorly compacted or eroding soils, excess moisture from leaking HVAC systems, too little moisture brought on by drought, or just a sinkhole no one knew about until it opened its gaping maw, concrete slab settlement is a fact of both life in general and the construction industry in particular. And one that has to be addressed before it creates bigger, more costly issues. Concrete slab lifting is a unique solution to this age-old problem. In a process also known as slab jacking, sinking concrete slabs are lifted and leveled, most frequently these days with the aid of a high-density polyurethane foam. Though simple enough in theory, slab lifting is a fairly remarkable feat that allows residential and commercial property owners the option of repair versus a total rebuild. 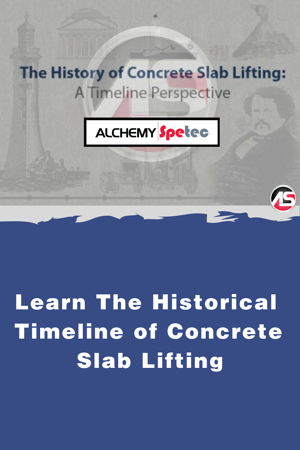 Below is a timeline of the early foundations of concrete, and how slab lifting has come to be a reliable, cost-saving means of putting sinking concrete slabs back on solid ground. 600 BC – The Greeks discover that volcanic ash, a natural pozzolan material, develops hydraulic properties when mixed with slaked lime. When stored underwater, the mixture’s strength increases. 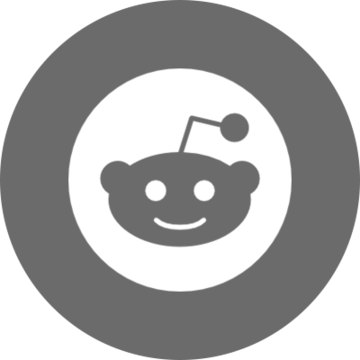 200 BC – Romans “borrow” (sound familiar?) the cementious mix from the Greeks and continue to perfect it, adding gravel, sand, ground pottery shards – even animal products to the mix. 126 AD – Under the auspices of Emperor Hadrian Pantheon, the Romans complete the Pantheon, a circular temple of worship commissioned by Marcus Agrippa during the reign of Augustus. The pozzolana concrete and stone aggregate are used to construct the thick walls and 142-ft domed roof. The building still stands and the dome remains the largest unreinforced concrete dome in the world. However, time, settling soils, a few earthquakes, and other natural disasters have taken their toll and have caused cracking throughout. 1793 – John Smeaton is tasked with building a lighthouse on Eddystone Rocks in England. He tinkers with different mortar mixtures and discovers that the best ones are made from calcined lime containing a goodly amount of clay minerals. It’s the first time clay is mixed with lime for hydraulic-setting cement. 1824 – Inventor Joseph Aspdin mixes, experiments, scratches his head, then voila, creates and patents Portland cement – the basic ingredient of concrete. By 1897, Sears Roebuck is selling Portland cement in 50-gallon drums and urban settings evolve into so-called “concrete jungles”. 1900 – When the shifting sands and soils of terra firma meet the unbudgeable weight and heft of concrete, the laws of science and physics say the heavy always wins. By the turn of the century, “mudjacking” is the standardized means of leveling the playing field, as it were. Hydraulic pressure is used to lift concrete slabs and fill in the void areas with a mix of mud, limestone, and often, additional cement. Over time, this “solution” compounds the problem because it too sinks into degrading or shifting soils. Today – A slab-jacking technique using polyurethane foam affords big results with a small footprint. The foam is used to support sagging concrete, and application is relatively minor in terms of downtime. In most applications, the repair site is traffic -ready in about 15 minutes.